The product is very effective a bit expensive but show result. Love it! the best product i see for the eyes. Absolutely fantastic product, works flawlessly, I feel younger already! This is the best product I saw in my life. It;s incredible ! As a graduate student, full time employee, mother and wife I can truly say I rarely get the right amount of sleep I need, This handy tool has helped me look youthful and vibrant even when I’m running on a few hours of sleep. My under eye area just looks and feels so plump and nourished. I’m so happy with my results and so grateful for there are companies like Venofye that make products to help busy, tired moms. When I heard $700, my heart dropped! Now that I have used it afew months, I understand the price! Worth every dollar. This is by far my favorite Venofye product! I can’t get over how well it works! It has an instant lift and tightening effect that I absolutely love. A little tip, be careful with the dispenser. I accidentally pushed out too much and ended up using more product than I needed (not good when you’re trying to make the tube last). Other than that no complaints here! There are loads of “non-surgical syringe” products nowadays, but this is by far the best. I think it’s something to do with the bee venom — from what I’ve read, the bee venom triggers the skin into thinking it’s been stung, which stimulates the natural healing processes of the skin (increased blood circulation, increased collagen production). This product has brought the life back to my eyes and face. I love this product so much I bought one for my mom and sister. Cant wait to see their results! 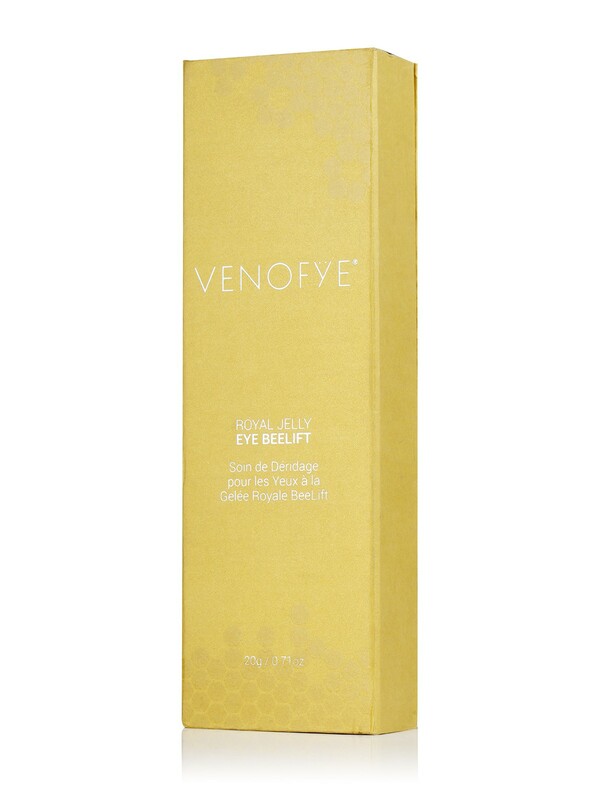 So when Venofye asked me which products I wanted to try it was a no brainer, it had to be the Royal Jelly Bee Eye Collection! My review is based on my usage of these products for the last 2 weeks and so far I have to say I m loving everything. amazing product!!! makes my eyes look young again! My husband bought it for me couple of months ago for our anniversary. Makes me excited to wake up in the morning and look in the mirror. Thanks! Can we take a moment to appreciate what this product has done for me? My god has it worked miracles around my eye area. 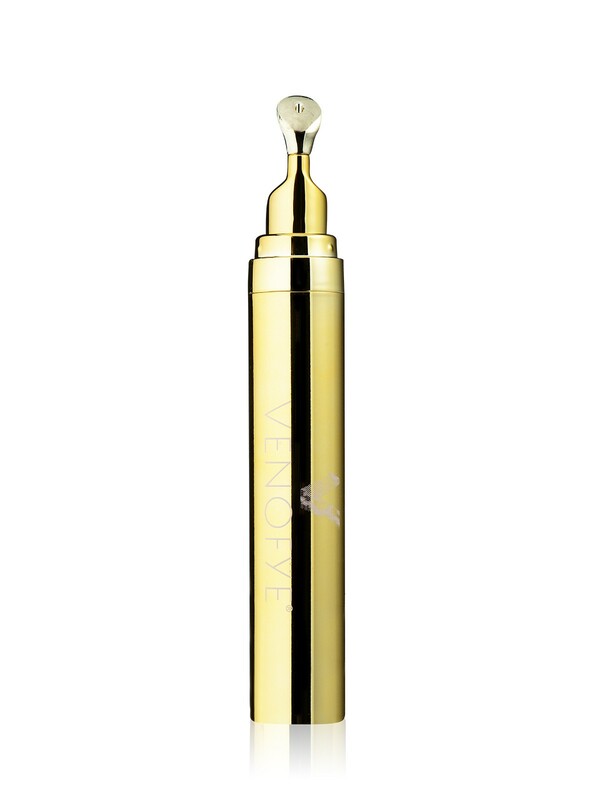 The light formula made it easy to apply and the cool gold applicator gave it that extra touch of luxury. Highly recommend. Thannks Venofye! Fantastic product. I saw a huge difference after just a few uses. Highly recommend it to anyone whos tire of undereye puffiness. Wasn’t really convince till I tried at the International beauty show in New York, wow it was amazing so glad I bought this ! This product truly works. I was very seriously considering fillers or some other procedure to fix my eye bags when I found this product. I can’t believe how well it works! Sure you have to put it on everyday but I much prefer it to putting a needle under my eye. I just don’t use it on days I don’t go out so I save the product. My eye bags made it such a pain to put on makeup I just gave up completely. Now that I have this awesome little tool I look so much better and I don’t even feel bad about not wearing makeup. You DEFANATELY must try this. It works so good. Will buy again. Bought for my wife . finally something that she really like and working. one of the best wrinkle filler you will ever try works like a botox FOR ME AND FOR MY WIFE once a week to use. a bit pricey but honestly worth it. me and my partner share it . it should last for 18 months. so……its been a month since i got this eye cream. My husband was embarrassed about his puffy eyes but was even more embarrassed to do anything about it. So when I was this I just had to buy it for him. We were both skeptic but it really works.